Twenty years ago, Scottie Pippen won his second Olympic gold medal as a member of Dream Team II in Atlanta. There, he gave an international platform to the Nike Air More Uptempo, an unorthodox, but beloved design that still gets sneakerheads lined up today. Officially back in stores this week, the "Olympic" Uptempos are selling out everywhere. However, your pair probably isn't quite like the pair gifted to Pippen himself. Earlier, the Hall of Famer showed off unreleased special packaging for the sneakers he made famous. 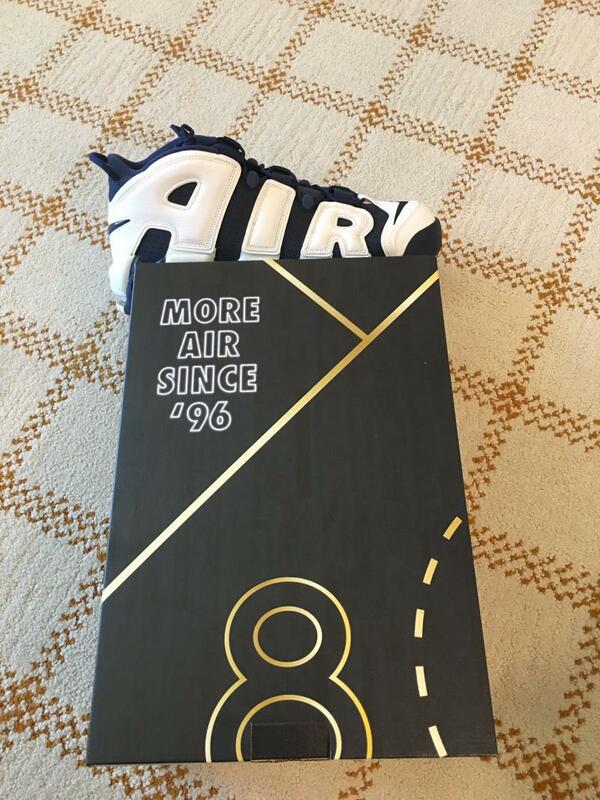 While the release came with the standard red Nike box, Pippen's is a large black and gold box that reads "More Air Since '96" and bears his Olympic number "8." It'll be interesting to see if other Nike hoop legends with returning Olympic sneakers will also be extended the same courtesy. Charles Barkley will almost certainly never share any photos of his, but Penny Hardaway may post his Zoom Flight '96s on Instagram. Stay tuned.